Myself and my partner will be cruising on Monday. We are from Ireland. My partner is originally from London but we both live in Dublin now. Looking forward to the cruise and hope to see you all at a meet & mingle! Happy cruising! 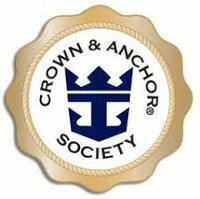 ‘I will be joining the cruise and was wondering how to officially get on the roll call and be invited to the on board get together? Have I joined by virtue of posting here? I am looking for a dive partner on Bonaire; I have visited there twice for 1 week dive trips and am very familiar with diving there. I want to rent a car and do a few dives preferably with a couple, My lovely UK GF does not dive but will come with so if your significant other does not dive they can hang out or she can enjoy the beach when we do our dives. There are 50 or so shore dives to choose from and they are all exceptional. I rate Bonaire better than the Red Sea and Great Barrier Reef but to be fair I only dived one site at those places and they were just average or less than average quality. Bonaire is a must top 5 in world scuba diving Mecca! I didn't find the other Roll Call, it doesn't come up in the Roll Call Tool. Anyway I am looking forward to this cruise. The ABC islands are the only ones we haven't visited in the Caribbean. Hope to meet all of you at the Meet & Mingle. I will be cruising with my husband and friends from our retirement community. We have been to all of the ports except Bonaire. This cruise has an existing thread titled Serenade of the Seas 11 Southern Caribbean, April 15, 2019 ﻿started by DivaofDisney on May 10, 2017. It is currently 8 pages long and consists of 182 Replies. Suggest everyone check it out for some excellent posts. No need to reinvent the wheel at this point. Hi zsoverseas, how do we access that thread? Could you post a link?